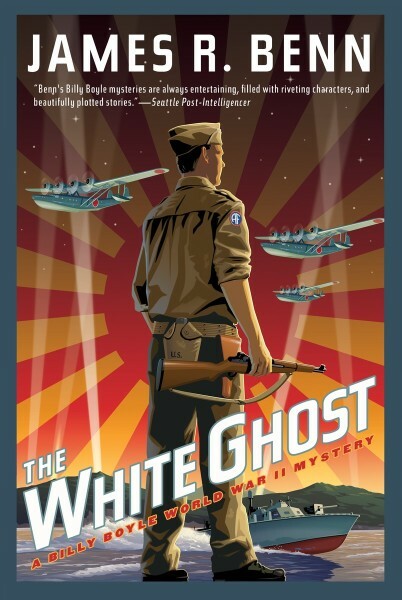 James R. Benn’s acclaimed WWII Billy Boyle series has a new entry, the tenth in the series, called The White Ghost. Booklist gave the book a starred review and said “Working with recently declassified documents about the Solomon Islands Campaign, Benn spins an absolute corker of a war story.” The Historical Novel Society praises the book saying “Replete with riveting and beautiful descriptions of the customs, rituals, and geography of these beautiful islands, this makes for great historical fiction for readers who crave a good mystery as well as a good war story.” Crime novelist Lee Child declared “Billy Boyle gets better and better. This is a must-read series.” The Essex Library is excited to welcome author James R. Benn for a talk celebrating the release of “The White Ghost on Thursday, September 24, 2015 at 7 p.m. The program is free and open to the public. Benn, a resident of Hadlyme, CT, worked in the library and information technology field for more than thirty-five years before he started writing full-time. One lesson he says that’s helped him greatly as an author is a quote from Oscar Wilde: “The art of writing is the art of applying the seat of one’s pants to a chair.” Copies of his books will be available for sale and signing.